Every watch aficionado in the city knows Viraal Rajan, Director at Time Avenue, Mumbai, one of the most revered watch havens in the city. Viraal, with his friendly down to earth attitude boasts of an unmatched knowledge of luxury timepieces and his clients span the breath and width of Mumbai. Customers look forward to his warm camaraderie as well as depend on him for his guidance in helping them select the perfect timepiece. Viraal Rajan shares his insights in a tête-à-tête with Priyanka Sippy. 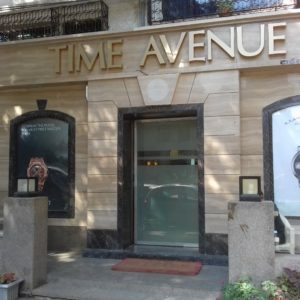 Time Avenue, the famed Luxury Watch Retailer, opened its doors in 1998, at Bandra West. Established as an independent family business by Viraal Rajan’s father Mr. Jamal Rajan, Time Avenue has a loyal set of customers in Mumbai. 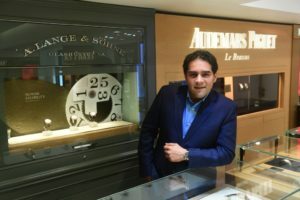 Time Avenue has an impressive list of top luxury watch brands like A Lange & Sohne, Audemars Piguet, Baume & Mercier, Bell & Ross, Blancpain, Breguet, Breitling, Bvlgari, Chopard, Corum Graham, Harry Winston, Hublot, HYT, Longines, Omega, Panerai, Roger Dubuis and Tag Heuer, with an exclusive Rolex Boutique within the refined space of Time Avenue. A: It’s a great business as one gets to meet a lot of interesting and insightful people such as the who’s who, head honchos in the city, artists etc. You also get to visit factories which are intriguing and insightful. It’s a lot of fun to be in the watch industry. Toys for men are cars and watches. I love cars and so my passion for watches is seamless as it is all about speed and engineering. Q: It has been two decades for Time Avenue now. What are the changes you have observed? How has the watch industry changed over the years? 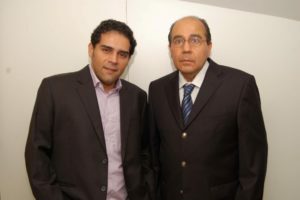 A: When we began, the watch representation in the country was minimal. We started with two brands only. The watch industry in India has grown gradually. Over the years, a lot of multi-brand boutiques have opened as well as several independent brand boutiques. Q: What are the challenges you have faced? A: Taxes and government regulations. A lot of back and forth has happened but it is streamlined now. We are looking forward to a great year ahead. Q: What would you do if not sell watches? Q: Tell us about Baselworld. What is the importance of holding the exhibition on a scale as large as this? 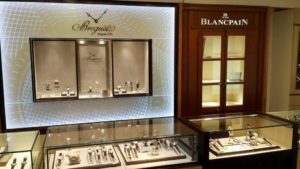 A: Baselworld is the Mecca for the jewelry and watch industry. I have been visiting it for 20 years now. It is a great experience as you get to meet a lot of people. It sets the pace and trends for the year ahead. It is important for the Industry. Q: What does a consumer look for in a watch today? A: A young consumer probably wants a Breitling, an Omega, a Bell n Ross where as an older consumer may look for an Audemars Piguet or a Rolex. They want a vast variety to choose from, latest pieces which are unique as well. Customers travel abroad and expect us to replicate the same experience here. They want to have a look at the entire range before deciding. Q: How is the watch market in India? A: It is still at a very early stage considering the population of our country and the growth of the market but yet it is solid and very long term. Q: Which are some of your favorite timepieces? A: Rolex, Panerai, Audemars Piguet, Franck Muller and Breguet. Q: Which timepiece are you wearing currently? A: Franck Muller gravity skeleton tourbillon in rose gold. Q: What are your future plans for Time Avenue? 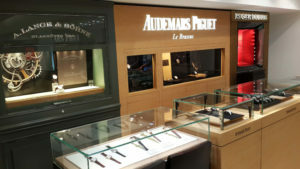 A: We are expanding and setting up exclusive POS of Audemars Piguet and a boutique for Rolex. We are also opening a new store on the same street. Soon, we are opening a Panerai and a Franck Muller boutique at Palladium too. Q: How does Time Avenue stand apart from other watch retail stores? A: We have personal relationships with customers for almost half a century now. Generations of the same family have been buying watches from us. This personal relationship cannot be easily replicated since the watch industry thrives on trust and relationships. 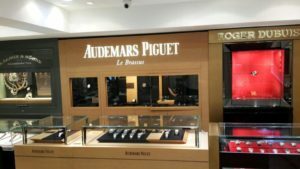 We have an exclusive dealership for brands like Audemars Piguet, Breguet, Blancpain and Franck Muller. Q: How do you hold your own in a competitive industry? A: I do that by providing an International retail experience and showcasing the complete range of products from respective brands.